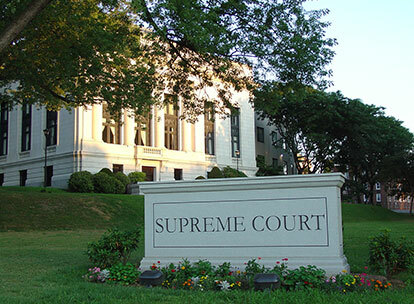 Volunteers have been assisting the State of Connecticut Judicial Branch since 1970 and continue to support the branch by assisting with Supreme Court Tours. The Connecticut Supreme Court is a unique historical treasure located in Hartford. The External Affairs Division of the Judicial Branch provides tours of the Supreme Court courtroom from Monday through Friday during regular business hours. The Volunteer Program is seeking individuals who have an interest in Connecticut history, architecture, art, law and working with groups to provide tours to classes, individuals and civic organizations. Upon receipt, the Coordinators review the application for completeness and eligibility. The Coordinator schedules a time to meet with the candidate to discuss interest in providing tours and to determine availability. Upon acceptance by the placement site supervisor and the V/I Coordinator, a mandatory background check will be conducted prior to the start date.